When we become slaves to codes that make no sense life becomes unbearable to the senses and a part of us dies. Why do our passions need to be controlled? Why do so many people try to be gods on earth? Beautiful things will always be just outside of the honest man’s grasp. I could have tasted that fruit but I left it on the tree. How foolish of me. Now I must sit down in the shade and wait for that pear to fall on my head. It will never happen. So would I be wrong if I prayed for the wind to blow? 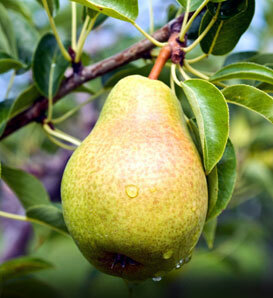 Or would I be immoral if I pushed and shoved on its trunk until all the pears fell to the ground? I’m not greedy. I only want one. I suppose it will ripen soon enough. Its nectar will taste unbelievably sweet.